Whether you are new to canoeing, and kayaking, an old pro, or somewhere in between, this is the site for all levels with hints to make this sport more enjoyable for people over fifty. 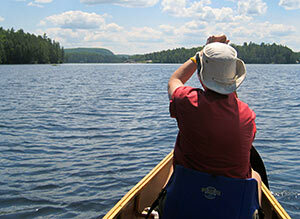 When we started canoeing, we were over fifty and started with day trips. Now, we love trekking for several days in the wilds. They say that married couples should never build a house or canoe together. We have done both and love it! Read about Sea Kayaking in Sweden. Email us your favorite canoeing or kayaking stories!